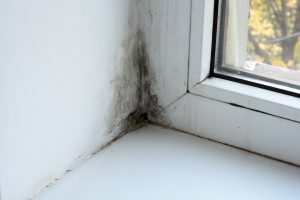 Whether you live in a house, apartment, duplex, or any other type of shelter, it’s likely that you’ve run into mold at some point in your life. It’s nothing to be ashamed of; mold can grow almost anywhere if provided a decent moisture source, but it’s unlikely that an actual mold problem will develop unless there is a problem with humidity, excessive condensation, or water damage within the home. Humidity is one thing that the people of Brooklandville, Maryland have to deal with. With an annual 44 inches of rain per year, and almost half that of snowfall, Maryland has a fairly humid climate, and if you have extra moisture within your home, it makes for a perfect host for mold. A small bit of mold is natural, but if you’ve noticed it effecting your quality of life, or are seeing it, you’ve got a problem that needs to be fixed by the mold remediation experts. So how do you go about getting mold remediation in Brooklandville, Maryland? You could look through the yellow pages and try out a bunch of different companies who will tell you they can completely rid your home of the mold (more on why they can’t later), or you could contact the experts at AA Active Waterproofing for a free quote and get your mold remediation service done right the first time. Mold, simply put, is a fungus that is especially prevalent in places with humid climates like Maryland, as it requires moisture to grow. While it is part of the natural environment, its presence indoors should be avoided at all costs. If mold is left unattended to grow and spread throughout the house, you’ll notice quickly; the spores themselves are invisible to the naked eye and float through the air, so you’ll be breathing it in and it will eventually begin to affect your health as a result. There are different types of mold, but they all pose a health risk to us as humans. Some types of mold, referred to commonly as “toxic mold” produce something called mycotoxins, which can lead to neurological problems and even death if left exposed for too long. One sign of a mold problem is, of course, seeing it, but if you’re in need of mold remediation in Brooklandville, your body will tell you if you have a problem, too. Mold exposure can produce symptoms akin to the common cold, or even pneumonia, but if your symptoms get better or abate when you leave the home, this is a good indication of the presence of mold. Symptoms of mold exposure include: nasal congestion or runny nose, eye irritation (itchy, red, or watery eyes), respiratory issues such as wheezing or chest tightness – especially in those with asthma, throat irritation, rash, headache, or persistent sneezing. I said earlier that companies that tell you they can completely rid your home of mold can’t actually do that. So, what’s the difference between completely removing mold, and mold remediation? The truth is, a small amount of mold is natural, and essential to maintaining the natural balance of things. Removing it completely is just impossible. By choosing a mold remediation in Brooklandville, MD, you are choosing the best way to get rid of a mold problem by doing just that – only removing the problem. Mold remediation is a simple concept: rather than futilely attempting to remove all mold, mold remediation is the act of removing and cleaning contaminated materials in such a way that prevents the mold spores from leaving the area. This procedure focuses on getting the mold back down to a normal level. When you call AA Action Waterproofing to do a mold remediation in Brooklandville, they take your home and your safety very seriously. They’ll locate and eliminate the main source of moisture, then go about isolating it by sealing the doors and vents in the contaminated area, effectively keeping the spores from spreading. Once that is done and the spores are safely contained, they will go about removing, cleaning, and then thoroughly drying the area and any personal effects within it. At the end, they’ll do a thorough check for any damage done by the mold and either repair or replace the decayed materials. Don’t wait; if you think you’re in need of mold remediation in Brooklandville, call AA Action Waterproofing today.